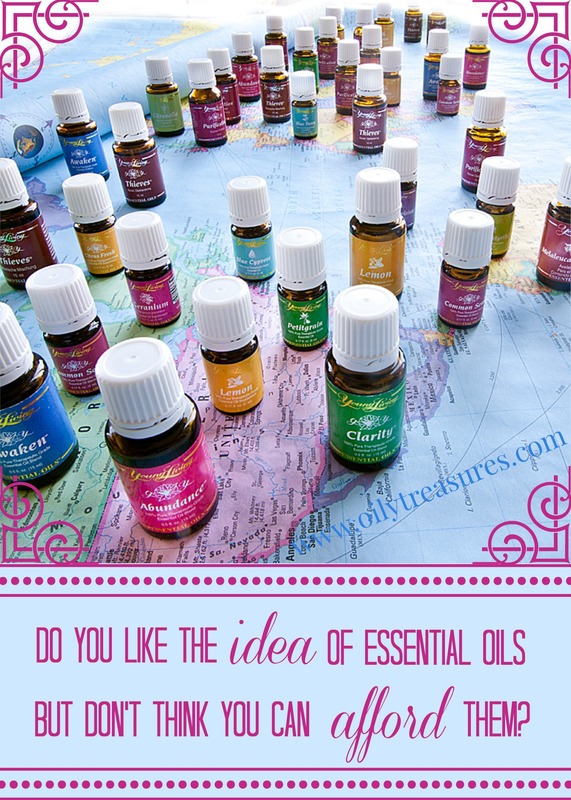 I liked the idea of essential oils for quite some time before I pulled the trigger and jumped in with both feet by purchasing my Premium Starter Kit. So what was my hold-up? Well, honestly it was the money. A couple of years before I bought that kit, I had tried a couple of Young Living’s Essential Oils. I learned from that experience that essential oils are powerful. At that point though, I had not yet attended a class and learned why quality was important, so what I was not convinced about was the price tag. So I tried some other oils that I picked up at a health food store and some that I purchased online. Turned out I wasted money and time because they were not as effective. You really do get what you pay for. After I purchased my kit and starting using all of my oils, I was hooked! But I still wondered how I would afford to replace oils as I used them up and purchase other oils I wanted to try that didn’t come in that starter kit. I came to realize that since we were supporting our immune systems, we were saving money in other areas. Also, B.E.O. (that’s Before Essential Oils) I would spend money at the health food store each month on a lot of herbal remedies. I found the oils to be more effective, so it was really just a transference of funds from spending in one place to spending on Young Living products. The craziest and least expected part for me though is that I actually don’t pay for my Young Living products each month! How’s that, you ask? It’s because I started sharing the products with others, and my monthly commission checks more than cover my products. I originally had no intention of starting up an “oil business”. I really didn’t. But when I fell in love with my EO’s, I couldn’t help but share them. And what a blessing that I can use these amazing products and have the cost covered by simply sharing with others how awesome they are. Check out Young Living’s Income Disclosure Statement on their website. Another great way to get free oils is by joining the Essential Rewards Program. Check it out here. Young Living also offers free promo oils each month if you purchase a certain amount, so always be on the lookout for the monthly promo and take advantage of Young Living’s generosity! Ready to jump on the “oily bandwagon”? Click below to learn how to order! This entry was posted in Blog Posts and tagged Essential Oils, how to afford, Young Living. Bookmark the permalink.